This 2-in-1 brow pencil is all you need to create the perfect brow with its slanted triangular tip to let you naturally define your brows and the clear strong-hold gel to tame unruly brows and set them. The soft and creamy brow formula in the mechanical pencil lets you create naturally defined brows and also requires no sharpening! The clear brow gel and spoolie lets you set everything in place. 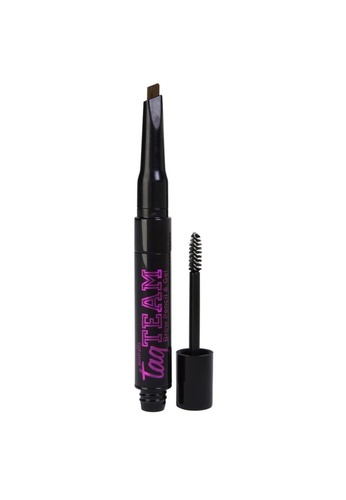 Can't find Australis Tag Team Brow Pencil and Gel in your size?